Rule number one of lettings: properties attract the tenants they deserve. Put the odds in your favour by doing all you can to make your property look its best. In most countries rental properties are provided without any furniture – and if you do want it furnished, you’ll pay a premium. In fact, in Germany tenants have to bring their own kitchen – cabinets, appliances and all – as most rentals have an empty shell for a kitchen. It’s a fairly unique quirk of Britain that fully furnished properties usually let for the same as unfurnished ones (unless they are top-end). Storage space is in short supply and it’s a pain to squeeze large pieces of furniture through narrow doors and tight staircases. As a result, most landlords simply prefer to leave furniture in situ. Getting rid of it is a grudge expense. Nor do landlords like spending money on buying furniture, as that’s a sunk cost. However, your decision to furnish should not be driven by your preference, but by your property type and its tenant profile. Successful landlords work with demand rather than fighting it. For example, students in university towns such as Cambridge or Southampton will expect flats to be fully furnished, while families in wealthy suburbs usually have their own furniture so prefer to rent empty houses. The older and more financially established the tenant, the more likely they are to want an unfurnished property to fill with their own belongings. Ask your local estate agent what the typical tenant for your property prefers. But be flexible: there are always exceptions. Being willing to buy a sofa or get rid of a bed at a tenant’s request can often make the difference between agreeing a let or not. If there is no clear market preference, our strong advice is to supply a property unfurnished. This leaves less to break or replace, and tenants who’ve brought in their own furniture may well end up staying longer. » Can you store your own stuff somewhere in the property? In principle, yes. It’s your house and you can negotiate any storage clauses in the contract. But we wouldn’t recommend it. Tenants can resent being excluded from part of ‘their’ home – not a good start to a tenancy. Also, it’s inevitably that locked loft or garage that becomes the source of a leak, pest or faulty wiring. 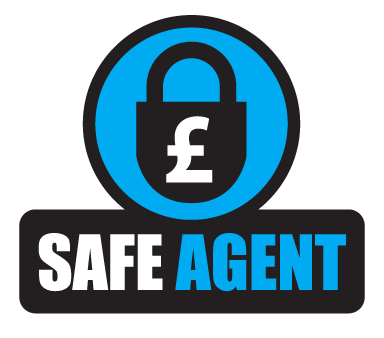 If your lettings agent holds the key, this can delay emergency access. Yet if the key is hidden at the property, the tenant can find out (and some have been known to ‘break in’). Don’t assume total security.